Despite considerable progress in clinical and basic neurosciences, the cure of psychiatric disorders is still remote, little is known about their prevention, and the etiology and molecular mechanisms of mental disorders are still obscure. Diagnoses are still guided by patients' stories. The mission of animal models is to bridge the gap between `the story and the synapse.' 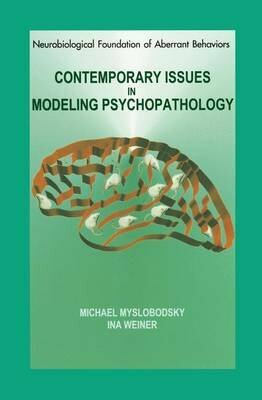 Contemporary Issues in Modeling of Psychopathology attempts to do this by examining such questions as `What good might come from such a model? Are we wasting our time? How far can we carry results from model animals, such as rats and mice, without causing a highly distorted view of the field and its goals?' This book serves as the opening volume for a new series, Neurobiological Foundation of Aberrant Behaviors.